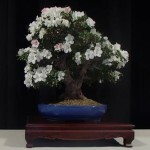 Please take a moment to view our 2014 SABS Bonsai Show Gallery to see this years show winners. Thank you again to everyone who entered trees and volunteer to help make this year’s show a success. Judy Davis will be holding an estate sale for the bonsai possesions of Kay and Khan Komai. This sale will be on Friday 5/23/2014 from 9:00 AM to 12:00 PM at 5033 Baldwin Ave., Temple City, CA 91780. 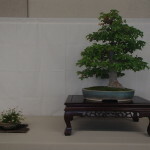 The bonsai portion will be a private sale to the bonsai community. The general public will be invited on 5/24/2014. There will be hundreds of items for sale. Don’t mis out.